Captain Marvel hits theaters in a few weeks and it is officially rated PG-13. This really isn't much of a surprise for Marvel Cinematic Universe fans who have been anticipating the rating. However, it has also been revealed that the Carol Danvers standalone movie will be the first MCU project not to hit Netflix. Instead, the movie will be held back for the Disney+ streaming platform, which is set to debut later this year. As for the PG-13 rating, Captain Marvel contains "sequences of sci-fi violence and action, and brief suggestive language," according to the MPAA. Every MCU movie released thus far has carried the PG-13 rating, with Thor: Ragnarok pushing the envelope with suggestive language, so seeing the latest movie with the rating is not a surprise. The action elements from the MCU is what has put all of the movies into the PG-13 area, but that's about it. Kids of all ages are still, for the most part, are allowed to see the movies with their parents. There is a rumor going around, though, that the Black Widow standalone movie will be R-rated. But we'll believe that when we see it. 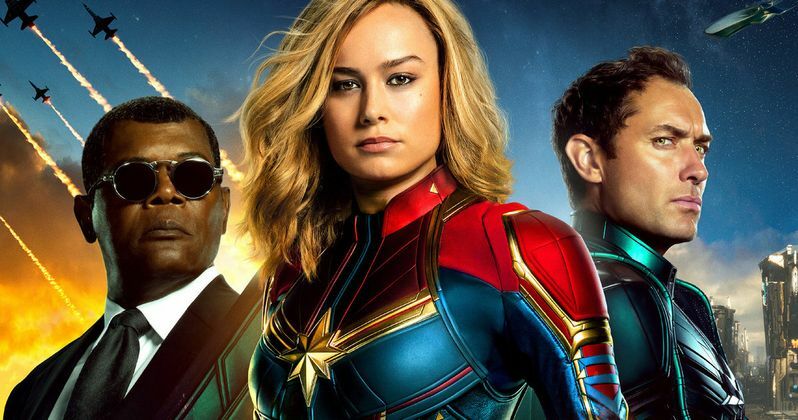 Captain Marvel is expected to make a killing at the box office, which just like the rating, was expected. Disney CEO Bob Iger held his quarterly call with investors earlier this week and announced that the Carol Danvers standalone movie will not premiere on Netflix, making it the first MCU movie not to make it to the streaming platform. This has been talked about a lot over the last year, ever since Disney announced their streaming platform. Disney CFO Christine McCarthy estimates the "forgone" licensing opportunity from Captain Marvel and other big releases in 2019, like Avengers: Endgame, would cut operating income by somewhere around $150 million. Cutting some profits is something that Disney is going to have to get used to when launching their own streaming platform. However, Bob Iger told investors that it's all a part of the plan to help the studio into the future. The business decisions made over the last year are "all designed so that long-term this business will become an important part of Disney's bottom line," says Iger. He concluded by comparing the new move to expanding the theme parks, saying, "This is a bet on the future of this business." Disney is making a gamble by spending all of this money on the Fox acquisition and building up the Disney+ streaming platform. Currently, the studio is bleeding out a ton of money for MCU TV shows, Star Wars TV shows, and holding their projects back from Netflix. However, to make money, you have to spend money, so hopefully this all works out for the studio in the end. Bob Iger seems confident and this is Disney that we're talking about here, so really it seems that there's really no way that it can fail. The Captain Marvel rating information was first announced by the Film Ratings site.